Ridler 605. Finish: Machine. Multiple quantities available. Need a lift?. We are authorized BDS, Zone, Ready Lift and Rough Country Dealers. A new set of wheels is the easiest way to change the look of your car or truck, but with so many options out there, what is the right set for you?. Ridler 695. Finish: Gray. Multiple quantities available. Need a lift?. We are authorized BDS, Zone, Ready Lift and Rough Country Dealers. A new set of wheels is the easiest way to change the look of your car or truck, but with so many options out there, what is the right set for you?. 2011 2012 2013 2014 2015 550i. Our sales team has many years of experience in the OEM / Factory wheel Industry! Nobody in the industry knows wheels better than Factory Wheel Warehouse. When you need one wheel or a complete set of OEM / Factory wheels Factory Wheel Warehouse is only a phone call away. Model MO970. Bolt Pattern 5x130. Finish Gloss Black Machined With Milled Accents. Wheel Accessories. Wheel Information. Rim Material. Rim Structure 1 Piece. Rim Width 8. Ridler 675. Multiple quantities available. Need a lift?. We are authorized BDS, Zone, Ready Lift and Rough Country Dealers. Finish: Silver. A new set of wheels is the easiest way to change the look of your car or truck, but with so many options out there, what is the right set for you?. Tsw SNETTERTON. Bolt Pattern: 5x120. Multiple quantities available. Need a lift?. We are authorized BDS, Zone, Ready Lift and Rough Country Dealers. Offset: 35. Finish: Silver. A new set of wheels is the easiest way to change the look of your car or truck, but with so many options out there, what is the right set for you?. Tsw RIVAGE. Finish: Black Milled. Bolt Pattern: 5x110. Multiple quantities available. Need a lift?. We are authorized BDS, Zone, Ready Lift and Rough Country Dealers. Offset: 40. A new set of wheels is the easiest way to change the look of your car or truck, but with so many options out there, what is the right set for you?. Tsw SILVERSTONE. Bolt Pattern: 5x110. Multiple quantities available. Need a lift?. We are authorized BDS, Zone, Ready Lift and Rough Country Dealers. Offset: 40. A new set of wheels is the easiest way to change the look of your car or truck, but with so many options out there, what is the right set for you?. Ridler 695. Finish: Black Machine. Multiple quantities available. Need a lift?. We are authorized BDS, Zone, Ready Lift and Rough Country Dealers. A new set of wheels is the easiest way to change the look of your car or truck, but with so many options out there, what is the right set for you?. Ridler 675. Finish: Black Machine. Multiple quantities available. Need a lift?. We are authorized BDS, Zone, Ready Lift and Rough Country Dealers. A new set of wheels is the easiest way to change the look of your car or truck, but with so many options out there, what is the right set for you?. FREE Shipping! 30 Days Return! 100% Satisfaction Guarantee! We specialize in wheels and tires for both passenger cars and trucks. With over 20 years experience in automotive industry, we offer exceptional customer service, competitive price and prompt shipping. ZERO OFFSET,,, 4.5 BACKSPACING price is per wheel,,, ( FILE PIC IS 8 LUG / WE ARE SENDING 6 LUG ). 6 ON 5.5 GM CHEVY GMC TRUCK. Ridler 645. Finish: Black Machine. Multiple quantities available. Need a lift?. We are authorized BDS, Zone, Ready Lift and Rough Country Dealers. A new set of wheels is the easiest way to change the look of your car or truck, but with so many options out there, what is the right set for you?. With that being said, any information provided is accurate based on the information we have available. Things such as spacers, fender rolling and minor wheel well cutting are very common when installing rims. Model: Valencia. Bolt Pattern: 5x100. Do your research! Front Offset: 32. Rear Offset: 32. Color: Silver W/ Mirror Lip. NO exceptions can be made. Interchange Part Number 560-97313, 97313. Condition REFURBISHED. Material Aluminum Alloy. Finish Painted. What do I do?. We are a division of a large corporation that has locations in many states. Product Details. Tsw TURBINA. Bolt Pattern: 5x100. Multiple quantities available. Need a lift?. We are authorized BDS, Zone, Ready Lift and Rough Country Dealers. Offset: 35. Finish: Silver. A new set of wheels is the easiest way to change the look of your car or truck, but with so many options out there, what is the right set for you?. Tsw TURBINA. Bolt Pattern: 5x112. Multiple quantities available. Offset: 32. Need a lift?. We are authorized BDS, Zone, Ready Lift and Rough Country Dealers. Finish: Silver. A new set of wheels is the easiest way to change the look of your car or truck, but with so many options out there, what is the right set for you?. AVID.1 AV-06 HYPER BLACK 6 SPOKES TUNER WHEEL SET. 5x100 BOLT PATTERN. WHEEL WIDTH 8". Tsw DONINGTON. Bolt Pattern: 5x112. Offset: 42. Multiple quantities available. Need a lift?. We are authorized BDS, Zone, Ready Lift and Rough Country Dealers. A new set of wheels is the easiest way to change the look of your car or truck, but with so many options out there, what is the right set for you?. Black Rhino BARSTOW. Bolt Pattern: 5x127. Multiple quantities available. Need a lift?. We are authorized BDS, Zone, Ready Lift and Rough Country Dealers. A new set of wheels is the easiest way to change the look of your car or truck, but with so many options out there, what is the right set for you?. 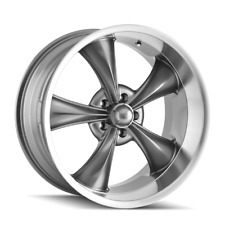 CADCTS 08 17x8 (alloy), (7 spoke), polished (opt P62). CADCTS 09 17x8 (alloy), 7 spoke, polished (opt P62). Removed from a 2009 Cadillac CTS. Item is an OEM part and may have visible wear from normal use. One complete set of FOUR Ridler 695 wheels, size and specs as described above in the eBay Item Specifics. Your order will include a full Set of FOUR wheels, brand new in the box. Just order a quantity of "1" to get the complete set. Standard center caps, standard chrome lug nuts, and standard chrome valve stems are included at no extra charge. . Product Color & Finish: All Painted Silver. Product Condition: RECONDITIONED. Wheel Style: 10 Spoke. Wheel Material: Aluminum Alloy. Processing Details. Color Charcoal Gray. Style 5 Spoke. Alloy Wheel Sets. Material Aluminum Alloy. From Audi to GM to Volkswagen, we have one of the largest inventories of automotive wheels and accessories in the United States for most makes and models. Bolt Pattern: 5x120. Multiple quantities available. Need a lift?. We are authorized BDS, Zone, Ready Lift and Rough Country Dealers. A new set of wheels is the easiest way to change the look of your car or truck, but with so many options out there, what is the right set for you?.